(gbtribune.com) – Wheat harvest is underway in Barton and Pawnee counties with reports of average bushels being harvested. In Pawnee County, according to the Pawnee County Coop, they are seeing 30-plus bushels per acre, which is about average for the county. Great Bend is also seeing about average wheat this harvest, according to the Great Bend Coop. Some farmers are encountering wet wheat, which is causing some issues and slowing the process down. This year’s wheat harvest so far has seen 30 to 40 bushels per acre with test weights being around 58 to 61 pounds per bushel. Protein is also good, he said. 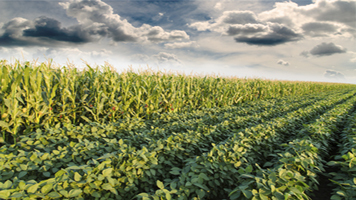 USDA NASS released the Kansas Crop Progress report on Monday afternoon which estimated that harvest was 23 percent complete at the end of June 17. This is an increase both in comparison to last year (19 percent) and the five-year average of 11 percent. Winter wheat condition rated 15 percent very poor, 31 poor, 36 fair, 16 good, and 2 excellent. Winter wheat coloring was 94 percent, equal to last year, and ahead of 88 for the five-year average. Mature was 64 percent, ahead of 57 last year. Jay Armstrong, a farmer from Atchison County, reported that he finished his harvest on Monday. Armstrong’s farm average for his wheat harvest was 61 bushels per acre with a test weight of 59 pounds per bushel. “We did have small kernels this year which made it difficult to set the combine,” Armstrong said. Armstrong said that he was especially impressed with the Kansas Wheat Alliance variety Zenda. “It stood well when we had some pounding rains that actually green snapped corn that was planted around the fields,” said Armstrong. Wheat harvest doesn’t just stop for farmers when the last swath of a field is cut; marketing decisions are also an important factor weighing on farmers’ minds as their combine header rolls on. Jenny Goering, a farmer in McPherson County, reported that her family operation wrapped up the first leg of their harvest on Saturday. While their ground close to home is harvested, Goering would be heading to western Kansas on Tuesday to start harvesting acreage in Kearny County. Late season frosts did some damage to Goering’s McPherson County acres. Those yields ranged 30-32 bushels per acre, a decrease from recent years. Test weights ranged from 60-62 pounds per bushel. Craig Bennett, general manager of the Farmers Coop in Abbyville, reported that his location saw their first load of wheat on June 8. At this point, Bennett said, their harvest is nearing 95 percent completion. Yields for the area are better than expected for many of Bennett’s farmers, but still lower than recent years. Test weights are about 60 pounds per bushel and proteins are running 12 percent and above. April freezes also affected acres, and yields, near Abbyville this year. “Late frosts really hurt some of the varieties out there, but some of them held up pretty well, all things considered,” Bennett said.